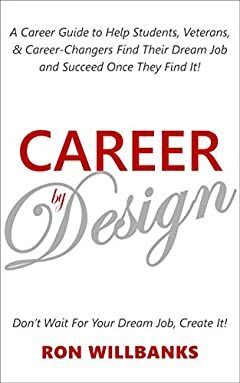 Career by Design is a practical approach to help STUDENTS, VETERANS, and CAREER-CHANGERS figure out what to do with their career. However, you can’t reach your destination without first planning for it. In this guide, I provide you with tools and tips on how to create an actionable plan designed for and by you. I provide examples of how people have re-made themselves – both early on and later in life. Having been a RECRUITER early in my career, I show you how to research potential employers to narrow down your job search. I provide structure on how to write a resume that pops and advice on how to interview well. Likewise, my 35 years’ experience as a business and technology executive enables me to offer pointers on how to succeed at work, with your co-workers, and with your boss. You can read this book in a day… and refer to it as your career progresses. If you want a great career you love that allows you to live the kind of life you want, add this to your toolkit. It also makes a worthwhile GIFT for friends, family, returning veterans or someone you know who needs a change.